Bridal Party Introductions | Wedding Wisdom, Etc. Just a quick Friday afternoon blog for the perfect introduction song. Whether you’re having 20 bridesmaids and groomsmen being introduced, or just the two of you, I fell upon this great song by the late great R ‘n B singer, Curtis Mayfield. Have a terrific weekend, and let me know what you think about this 1970 rousing classic. 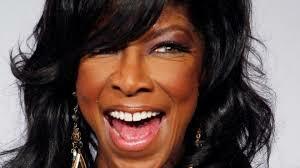 Throwback Sunday….believe it or not, in 1975 the extraordinary song “This Will Be” was released as Natalie Cole’s first single. It was an instant hit which became a long-standing dance classic. It still elicits great response among party guests of all ages and tastes. But would you expect anything less from the daughter of one the most beloved unique vocalists of all time, Nat ‘King’ Cole? I love the way it starts gently with a solo piano and people clapping, then slowly bringing in the rhythm section and those incredibly horns. “This Will Be” is the very definition of a dance-fast love song, and I think it qualifies as a perfect First Dance, especially for those who would rather move around having a great time, rather than holding on to each other and swaying back and forth. The harmonies alone would make this song spectacular. But add to that, a complete orchestra behind her and half a dozen incredibly soulful backup singers. I think the first two lines reveal the song’s decisively romantic statement. “This will be an everlasting love. This will be the one I’ve waited for.” For you bold intrepid souls, this is the perfect First Dance, for you bold, intrepid souls. Plus, the band loves to play it. And made me believe you’ve got more thrills to spare, oh! This will be an everlasting love oh, yes it will now! Let me know what you think of this gem as truly fun First Dance. So many of the songs we use for the Ceremony and Reception parts of every wedding are requests from the brides and grooms themselves. I never would’ve thought of U2’s “In The Name Of Love” as a song to introduce the bridal party, but it was a request so we were delighted to play it. 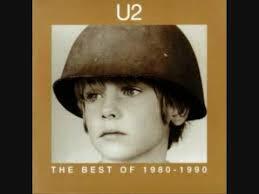 What made it so great is the instantly recognizable guitar riff of The Edge. And the key to any “Intro Song” is to immediately catch your guests attention, and put a smile on their face as they await the introduction of you and your fiance! Starting with this song to introduce the bridal party into the reception, we got this delightful email from the bride and groom. “Pass The Peas” by Maceo Parker is the very definition of “funk.” Parker became famous as James Browns’ sax player throughout the 1960s & 70s. 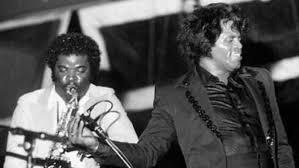 The distinctive “James Brown” sound always involves a hard driving power-guitar groove, a booming bass line, blasting horns, and simple lyrics that are repeated by the rest of the band. That style would become synonymous with Contemporary R ‘n B funk, which fueled the careers of brilliant acolytes like Sly & The Family Stone, Parliament and The Funkadelics, and Prince. All of whom were paid tribute by Bruno Mars’ 2015 Grammy Winning Uptown Funk. This really is a great song to introduce people into the room, especially if the dance floor is already packed as one of my favorite bridal couples, Marshall & Lauren’s, was. As in so many suggestions in this blog, the song was their request. Why do you like soul food? I doubt either James Brown or Maceo Parker was attempting to pen unforgettably brilliant lyrics. They were always simply all about the funk.